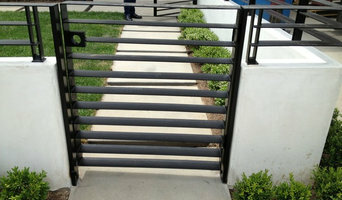 Door Gate Depot , Is an Iron Doors company in Los Angeles. We specialize in manufacturing high quality wrought Iron Doors, Gate, Fence, Railing. We use only the very finest iron materials—hand forged and individually crafted, to give you an ornamental front door that will last for many years to come. Our custom size entry wrought iron security doors, ornamental iron doors, iron exterior doors, custom iron front door, iron entry door and wrought iron front door, and every door for the exterior all come with a 10-year warranty and construction and a five-year warranty on finish one of the best in Los Angeles. All iron entry doors come complete with glass, and weather stripping. Iron entry doors are not just for homes, but also make great grand entries for commercial enterprises. Santa Barbara Forge + Iron is a family-owned modern blacksmith shop specializing in heirloom-quality metal products for your home or business. From custom railing to door and cabinet hardware, chandeliers and sconces to doors and furniture, we offer an unparalleled array of options to adorn your living and working space. Contact us today to get a quote. 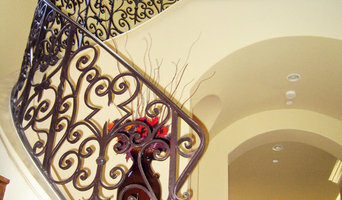 Master Ironworks hand forges luxury ornamental custom ironwork including wrought iron railings, wrought iron staircases, wrought iron driveway gates, wrought iron entry gates, single wrought iron doors, double wrought iron doors, wrought iron balconies, wrought iron fences, wrought iron fencing, wrought iron window grilles, wrought iron chandeliers, wrought iron sconces and exterior iron lighting. Master Ironworks features a select group of master artisans who have been designing, hand crafting, and installing quality custom ornamental wrought ironwork for decades. Every piece of our ironwork is unique and custom forged by hand per project. Our exquisite ironwork will become a showcase for your home or business. Enjoy our custom ironwork! 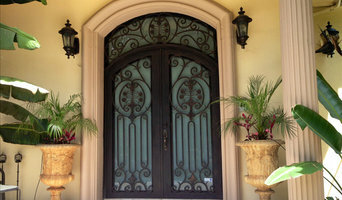 Custom Ironwork - Custom Ironworkers - Iron Front Doors - Iron Entry Doors - Forged Iron - Wrought Iron Doors - Iron Handrails - Driveway Gates Entry Gates - Garden Gates - Front Iron Doors - Exterior Iron Doors - Hand Forged Iron Doors - Ornamental Iron Doors - Iron Stairs - Iron Staircases - Iron Stair Railings - Iron Stair - Driveway Gate - Iron Chandeliers - Iron Sconces - Ironwork - Custom Ironwork - Luxury Ironwork - Hand Forged Ironwork - Professional Ironworker - Professional Ironwork - Ornamental Ironwork - Entry Doors - Front Entry Doors - Exterior Lighting - Exterior Lights - Railing Iron Work - Fencing Ironwork - Door Ironwork - Iron Doors - Balconies - Iron Balconies - Wrought Ironwork - Wrought Iron Work - Iron Balcony Railings - Stair Railings - Wrought Iron - Iron Gate - Iron Gates - Wrought Iron Gate - Wrought Iron Gates Custom Ironwork. Luxury Ironwork. Hand Forged Ironwork. Custom Iron Work, Luxury Iron Work, Hand Forged Iron Work. Shoreline Ornamental Iron has developed heavy duty, hand-crafted iron angle brackets, candle sconces and iron home decor of the highest caliber. Their customers appreciate quality, durability and the beauty of manipulated metal that’s handmade by artists rather than mass-produced products. Wrought Iron Shelf Brackets- Customers find that they will receive hand-forged iron in metal shelf brackets that offer beautiful form and function. Buying the right size iron bracket will stand the test of time with sturdy support and stunning reveal. Gorgeous brackets are a great way to add storage and decorative shelving to your home or business while implementing style and function along with heavy duty support. Along with these great attributes keep in mind hand-forged wrought iron is an excellent choice for both indoor and outdoor use. Iron Home Decor- A variety of wall mounted iron sconces & candle holders are hand-crafted with style and function in mind. These stunning metal sconces are artistically designed and developed for your enjoyment and appreciation. And, they give great results in interior or exterior settings. Along with custom forged iron Shoreline Ornamental Iron takes the best in cast iron crosses and metal wall decor and applies their own specialty metal finish. The finishes applied to the iron in their product line include Bronze, Old Copper, Nickel/Steel, Nautical Brass, Black Matte and their beautifully developed Iron Patinas. These awesome hand-applied patinas include our Vintage Rustic Iron and Blue/Green Patinas. Keep in mind, that craftsmanship does take time. When placing your order it takes approximately 2 weeks to complete. Shoreline Ornamental Iron is located in Southern California and a Veteran Owned Business. As an accomplished artist, Nate Hentges with Black Magic Metal Art specializes in beautifully mastered iron work. His designs range from one of a kind ornamental gates, handrails, sculptures, custom home art pieces, to the stunning metal counter tops. Using an exclusive bar top epoxy technique, mild steel counter tops eliminate the need to remove existing kitchen surfaces. They are durable, permanent, and can be fabricated into any size and shape. The design and colors of these counter tops are endless. Nate can make your modest kitchen into a stunning one of a kind master piece. Nate is a licensed contractor in ornamental iron, bonded and insured, he can take your idea and make it an alluring organic piece of art that is functional for your home, garden, or business. His work can be seen in such neighborhoods as Bel Air, Beverly Hills, West Hollywood, Thousand Oaks, and Ventura. Arts Anvil is a custom metal and acrylic fabrication shop specializing in custom lighting, furniture and architectural metalwork with an emphasis on public space projects. We love a challenge and sometimes that can be as simple as creating a spectacular project on a less than spectacular budget. Specializing in iron lighting and furniture for over 25 years, we are an in-house custom manufacturing company that fabricates high quality, hand made iron pieces, at any size and any style, from traditional to modern. Please feel free to contact us for any quotes, questions, or comments. We are an ironworks business established in 2010. Since then we have provided commercial and residential ironworks throughout the Los Angeles Metro Area. We are located in the San Fernando Valley, in the city of Pacoima. We fabricate, paint and install all of our projects. We hope you like our work, and feel free to contact us with any questions or project inquiries! An ornamental ironworker fabricates bulk iron into the types of structures that a particular home calls for, then installs them onsite. Some of these pieces are mass produced, others custom crafted. Many ornamental ironworkers also have the design skills to fashion unique decorative components. Ironworkers must be trained in safety to create elements such as railings and balconies that both satisfy a home’s aesthetic needs and meet Thousand Oaks, CA building codes. Here are some related professionals and vendors to complement the work of ironwork: Fencing & Gate Sales & Construction, Decks, Patios & Outdoor Enclosures, Siding & Exteriors. Find an ironworker on Houzz. 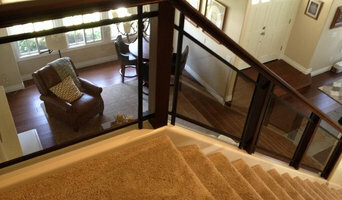 Narrow your search in the Professionals section of the website to Thousand Oaks, CA ironwork. You can also look through Thousand Oaks, CA photos to find examples of ironwork that you like, then contact the ironworker who fabricated them.